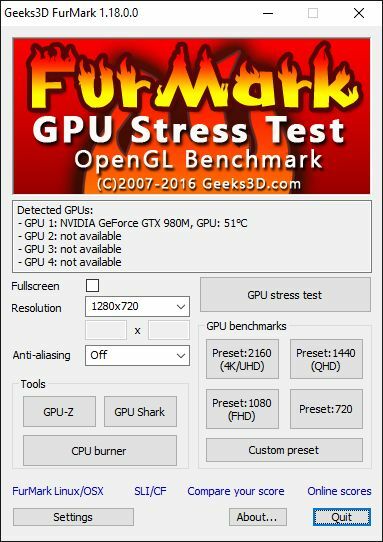 FurMark 1.18.0 adds the support of recent GeForce Series 10 (like the GTX 1080 or the GTX 1060) and Radeon RX 400 (like the RX 470) GPUs. The preset:2160 (3840×2160 / 4k resolution) is available in the command line (/preset=2160) and the 5k resolution (5120×2880) has been added to the resolution selection box. FurMark 1.18 fixes a bug in the reading of the current GPU clock speed value on Radeon graphics cards. Additional utilities (GPU Shark and GPU-Z) have been updated to their latest versions. FurMark 1.18.2.0 is available and adds the support of NVIDIA GeForce GTX 1050 / GTX 1050 Ti, Quadro P5000, Quadro P6000, Quadro M6000 12GB, M6000 24GB, Quadro K620, K1200 and K2200. GPU-Z has been updated to version 1.12.0 while GPU Shark is available in version 0.9.10.3. I choose 8xmsaa but during the test there is 0xmsaa, what’s wrong? In benchmark mode (preset:2160, preset:1440, preset:1080 and preset:720), the MSAA is set to 0. Yes, a major update of GpuTest (with a change of name at the same time) is planned (GpuTest includes FurMark). Can you sign your binaries? i am looking for a graphics card to run above mentioned games, but unfortunately don’t know much about them. budget will stay under $200, please suggest me. I would recommend an R9 380X or it’s NVidia equivalent or better for 1080p gaming. 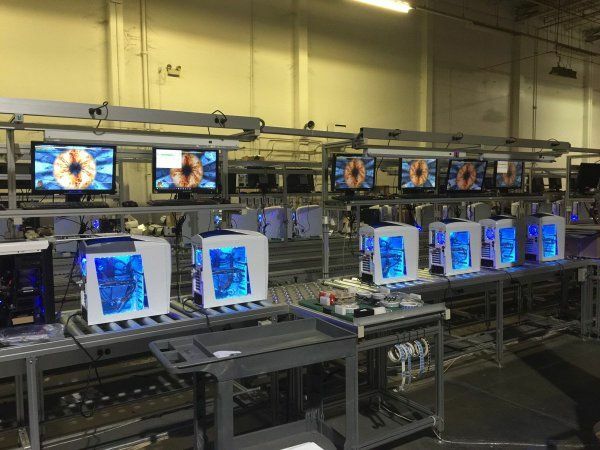 You want something with at least 2000+ shader cores to achieve the global gaming standard. Any R9 380/RX 480 card will achieve that right out of the box without any overclocking even with a modest 4 core APU/CPU. 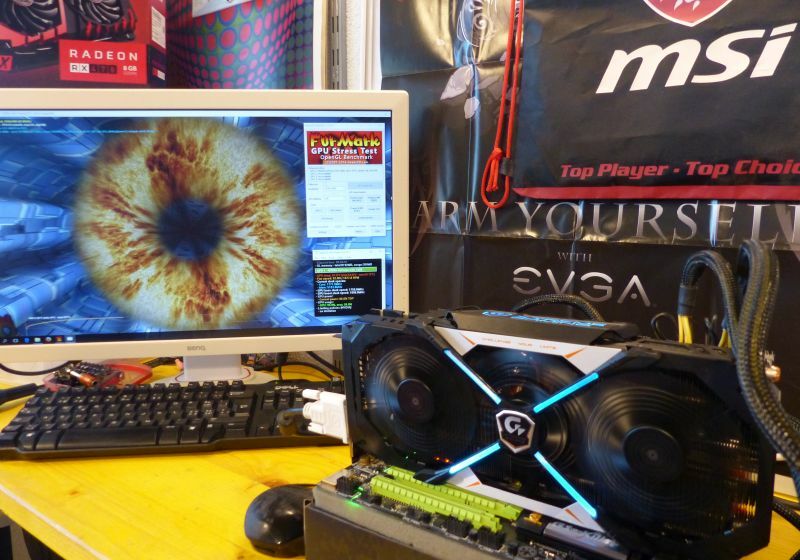 Anything less than that, and your looking at Crosfire/SLI, and/or, Overclocking your system. I found the latest version FurMark_1.19.0.0 from TechSpot website but it’s only 1.18.2 here. I have tried the two versions and found the 1.19.0 is hotter than 1.18.2. So my question is that is that 1.19.0 official version?